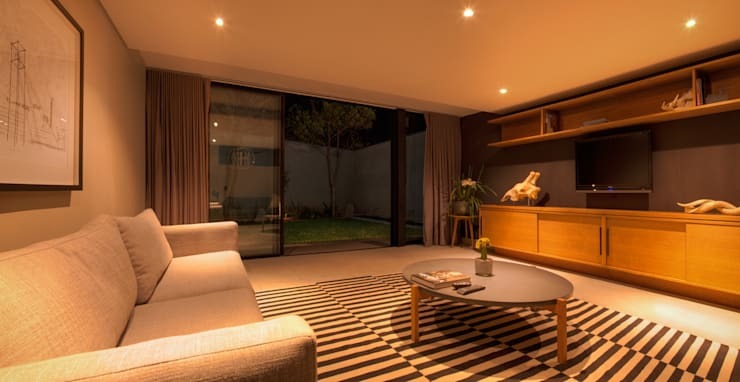 Located in Craighall, Johannesburg, is The Hamilton – a 6-bedroom boutique guesthouse which clearly understands the importance of aesthetic quality. Mezzanine Interiors, the professionals in charge of this space’s interior look, wanted their project to have an ‘urban retreat’ look and feel, which is why they opted for monochromatic greys, blacks and whites, with a touch of chartreuse to give it an edge. For the compact rooms, light oak wood was used for furniture, flaunting warm earthy hues which also help to make the spaces seem more open. To ensure a strong link between the exterior façade and interior styles, the black mild steel of the outside surfaces was replicated on the inside furniture bases. Marvellous! 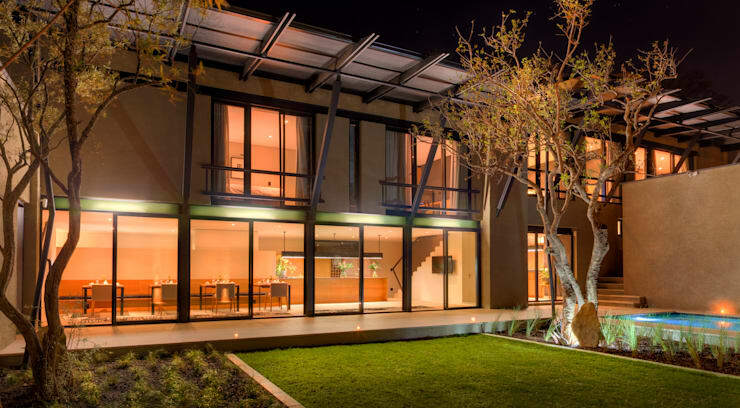 Thanks to ample glazing (and fantastic interior lighting), the structure’s interiors become bright and glowing as soon as night falls. The guesthouse flaunts a most modern look, making use of all the right materials to ensure a cutting-edge, contemporary style. And we are most glad to see that sufficient attention was paid to the yard/garden, ensuring it looks quite fabulous as well! The warm, neutral palette adorns the interior spaces fantastically, enhanced by the warm glow of the ceiling downlighters. The interior style (modern) enjoys a clean and subtle look, with only a floor rug adding a bit of pattern into the space. 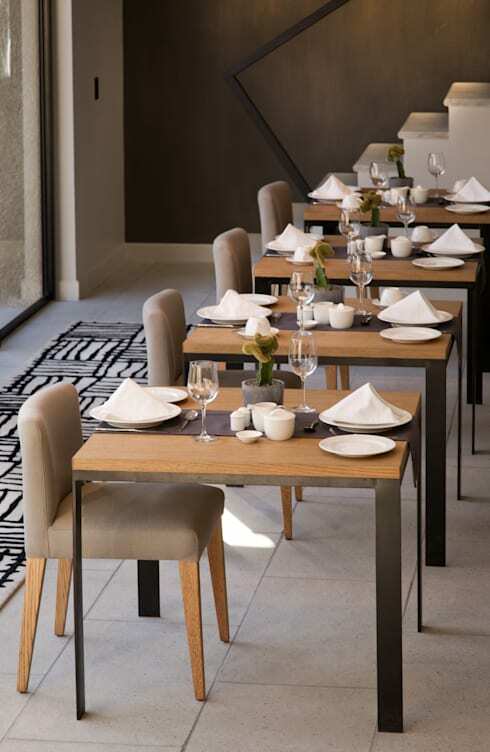 “Clean-cut elegance” – that is how we would describe the look of the dining room, where guests are assured that the earthy style of the interiors gets carried though most successfully. Oversized floor tiles help present a fresh and quiet look in a dull-cream tone, contrasted beautifully by the daring hues of the dark-brown walls. Like the living room, the bedroom gets treated to a warm earthy look via its colour palette – yellows and browns seem to be reigning supreme in here. And we just have to admire the way in which this space has been “softened up” with various fabrics, like the plush pillows, warm throw and light curtains. To make full use of the gorgeous outdoor view (just look at those high-rise trees), the bathroom opted to include as many floor-to-ceiling windows as possible. 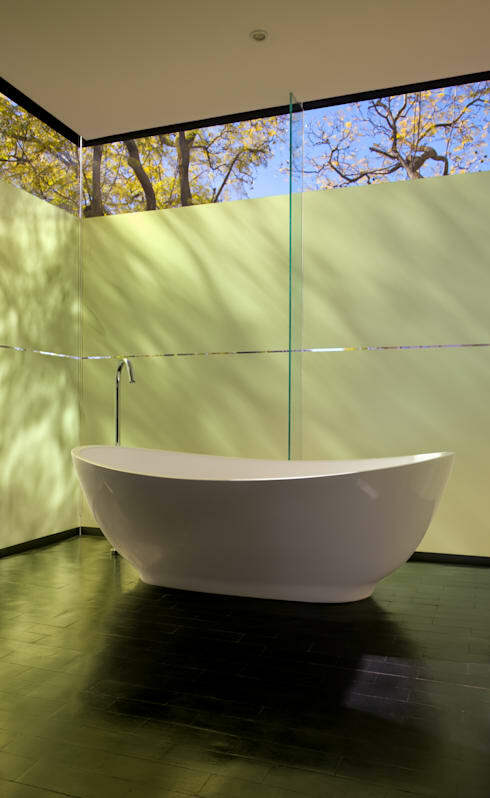 However, seeing the importance of that little thing called “privacy”, selected glass surfaces have been treated to frosting, yet those majestic windows still make it feel as though you’re enjoying a bubble bath in the middle of nature! Have a look at these 13 easy ways to make your bathroom look like a hotel space. 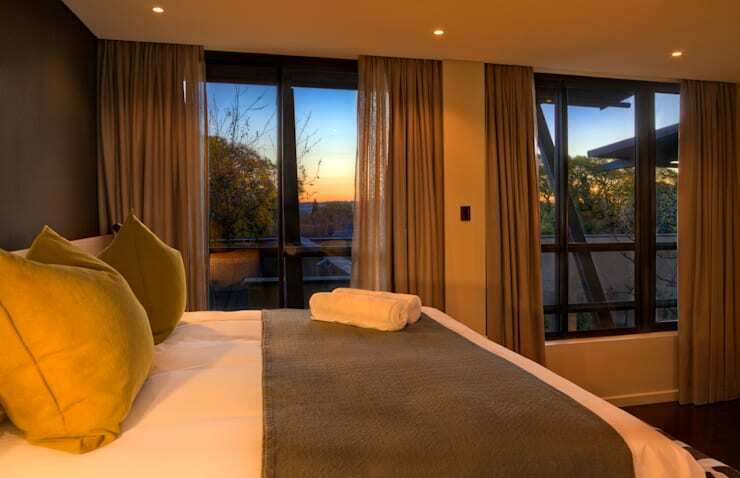 Our comments section is just for you – so tell us what you think of this guesthouse.